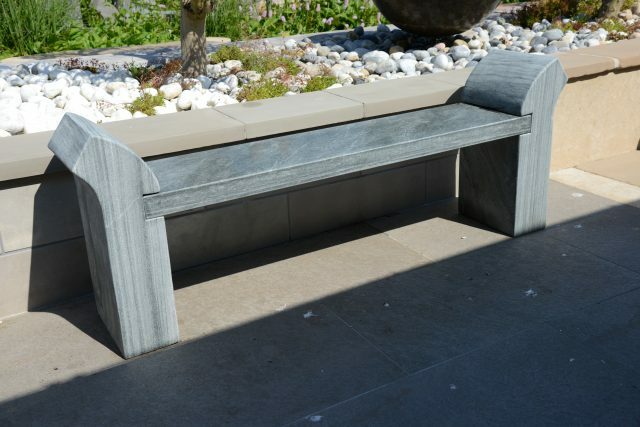 A stylish addition to our range of natural stone benches! 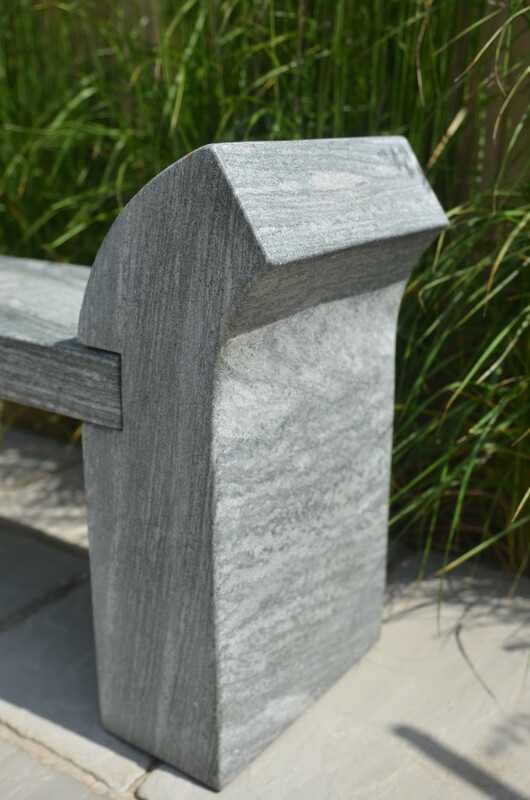 The Strabo bench is carved from high grade natural shark sandstone. 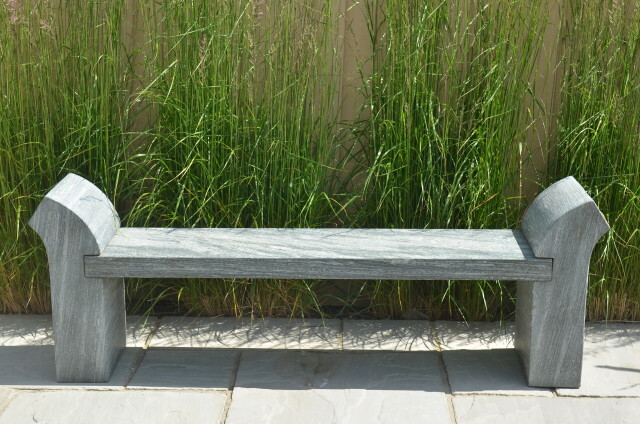 Made of a solid stone bench seat and sculptured sloping leg design, the natural graining and mineralisation in neutral hues of grey, black, silver and pearl quartz. All of our benches have their own characterstics meaning no two are the same. 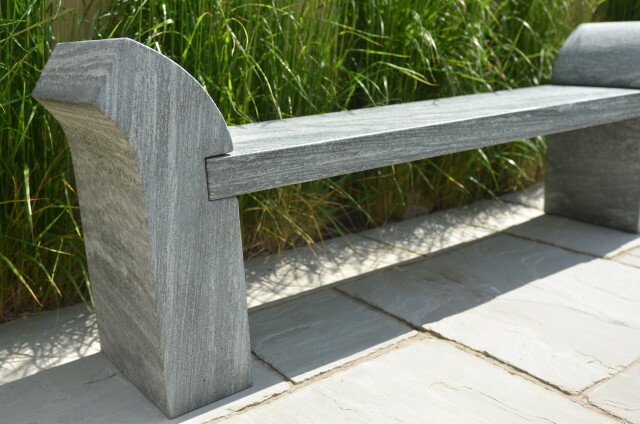 Perfect for fitting 3 – 4 people on, this piece looks great in contemporary or traditional courtyards or gardens and really stands out on a lawn or in a wild garden area. All of our benches are easy to clean and maintain and are frost and weather resistant. The strabo is delivered in three peices and simply slots together meaning there’s no fixing required. Natural stone is a product of nature and as such no two are the same. 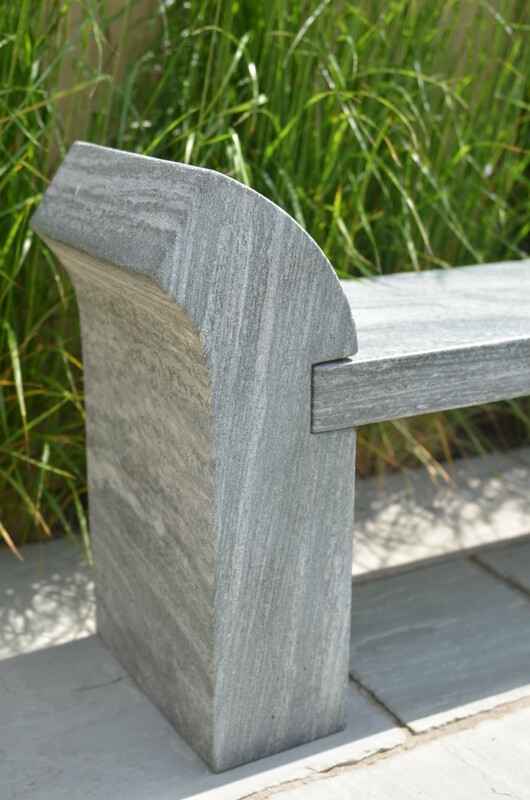 The bench delivered will differ from the picture(s) due to a slight change in colour, pattern, texture and veining. These differences are part of the beauty of stone making yours truly unique. Sorry missed star rating …. Found this little gem of a store in Burnham high street (No 55 the Townhouse – Made to Measure). On entry fell in love with ambience and the service from the most delightful staff and in particular Kim who helped with her knowledge and her general demeanour. 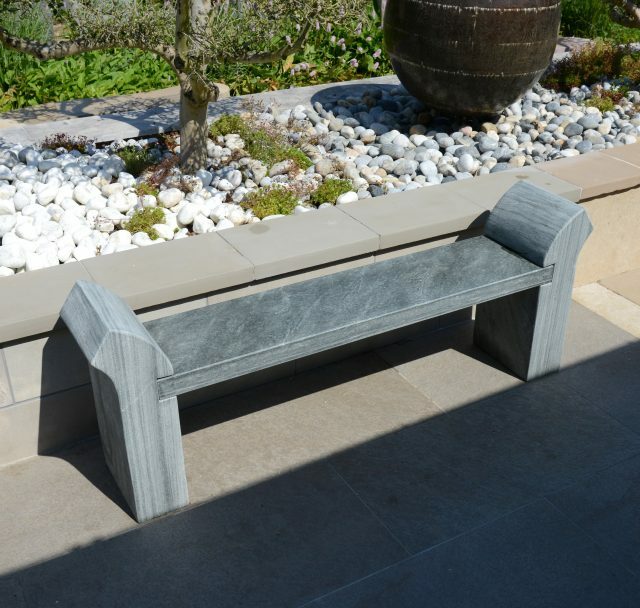 We very quickly made our selection of choice (Strabo Shark Sandstone Bench) – it spoke to the heart. Kim walked us through the process with her delightful and welcoming approach. We are now the proud owners of a wonderful stone bench which is found a home sitting in our garden.